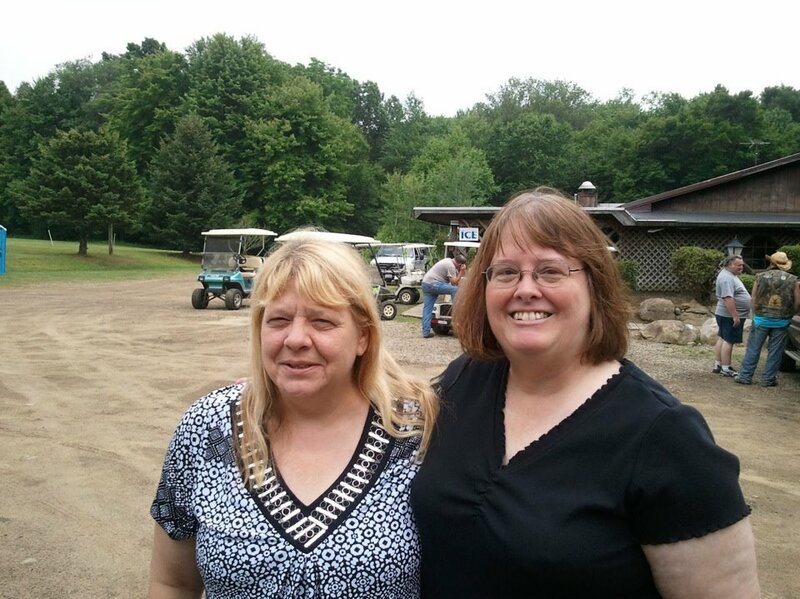 Bob took this picture of Susie and me on Sunday, June 17th, at the Playland Leisure Park and Family Campground (Meadville, PA), where Susie and her husband were spending the weekend. The last time that Susie and I saw each other was 38 years ago at our high school graduation. In November 2009 Susie and I reconnected with each other via Facebook. We have been in correspondence with each other since then. Bob and I made a slight detour on our way to Erie so that Susie and I could meet again. It was wonderful to see Susie again. We met Susie’s husband and his brother and their sister-in-law as well. Susie’s brother-in-law took us on a tour of some of the 120 acres on which the campground resides. The grounds are beautiful. I wish I had thought to take some pictures during our riding tour. I guess we will just have to return one day so I can get some pictures. I would love to return one day and spend more time with Susie and her family! By the way our trip to Erie was for the purpose of eating dinner at The Outback Restaurant, where I treated Bob to a steak dinner for Father’s Day. That is so neat, Linda. Great picture and I know you enjoyed meeting up with a long, lost friend!!!! I’m glad you could reconnect with a friend after so many years. That’s one of the nice things about our social media.